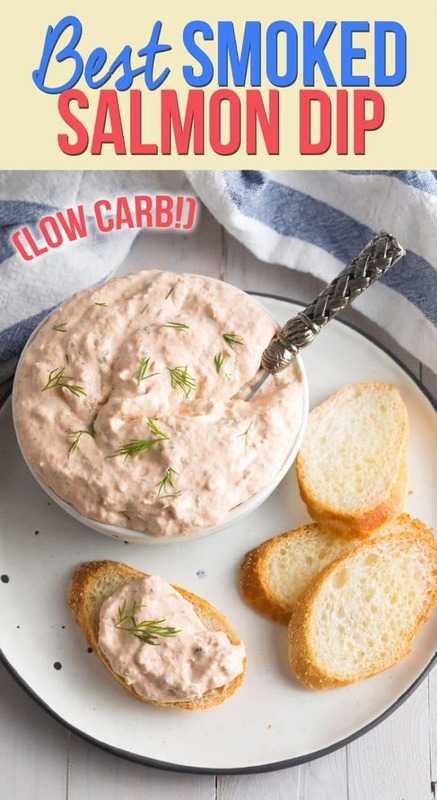 Smoked Salmon Dip Recipe: This easy LOW CARB salmon dip is made with cream cheese and a handful of bold ingredients to make the smokiest zestiest dip you’ve ever tried! So, you’re sticking to your guns on your new low carb lifestyle. Good for you! As Super Bowl and Valentine’s Day approach I hope to offer some extra celebration recipes that you can still enjoy on a low carb or ketogenic diet. Although I have unabashedly photographed today’s Smoked Salmon Dip Recipe with sliced baguettes, it’s just as delicious, and ultra low carb, if you serve it with raw cut vegetables or keto chips. We have made all sorts of smoked salmon spread variations over the years. Some from famous chefs. Some using ingredients to clean out the refrigerator. Some for speed and convenience. However, this 10-ingredient version is the smoked salmon dip recipe that my family thinks is the best. You can use store-bought smoked salmon, or leftover salmon you smoked at home. Either way it turns out pearly pink, perky, and packed with flavor! Smoked salmon – When buying this at the market, look for dense vacuum-packed wild caught fillets. 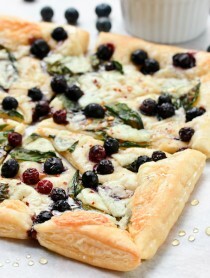 Cream cheese – This creates a thick silky base. Sour cream – Some recipes call for mayonnaise instead of sour cream, but I feel it makes the dip too sweet. You can use 1/2 cup for a thick “spread-like” dip or 3/4 cup sour cream for a dip that is better for scooping. Scallions – A little goes a long way. Capers – Don’t overkill on the capers, or the dip will be too salty. 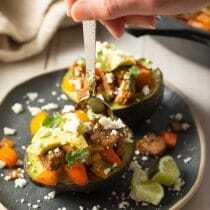 Lemon zest – For extra zip! Dill – Fresh is best. Use the rest of the bunch in salads and dressings. Horseradish – This adds a unique underlying flavor, you can’t quite put your finger on. Smoked paprika – My favorite spice to accentuate the smoky essence of the salmon. 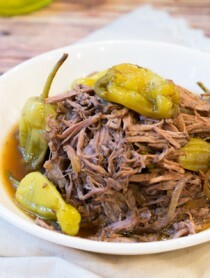 Crushed red pepper – For a little kick! Add as much as you like. This recipe could not be any more simple. Just dump the creamy ingredients and spices in a food processor. Then scrape the bowl and add in the smoked salmon, green onions, and capers. Puree again, stopping when it’s the consistency you like. You can make it pretty smooth, like mine, or leave it a little chunky. 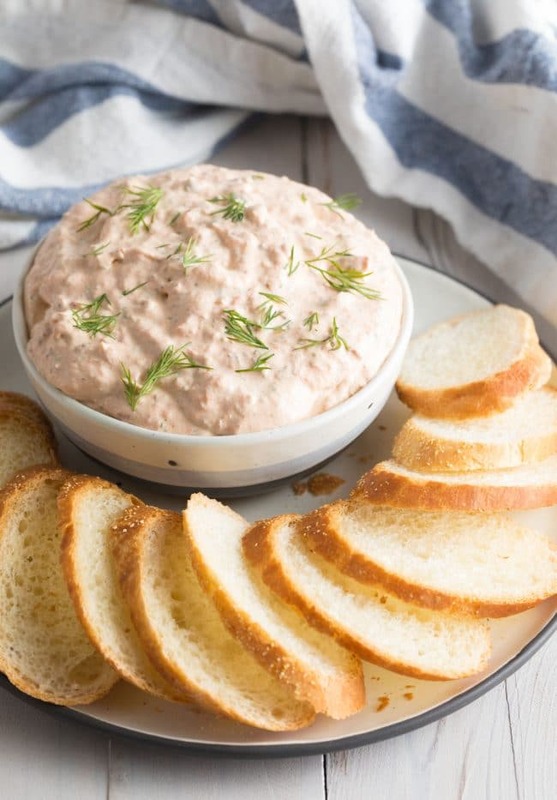 See the Full (Printable) Smoked Salmon Dip Recipe Below for More Details! Can I Use Homemade Smoked Salmon? Of course! However, your salmon might not have as much salt in it as packaged smoked salmon. So taste it, and salt if needed at the end. Can I Eat This Right Away? Sure! 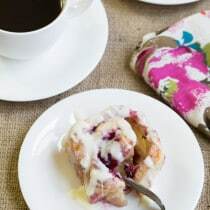 However, the flavors mingle and develop over time, so it’s best to refrigerate it for at least one hour before serving. Can I Skip The Horseradish? You can omit any of the herbs, spices, and seasoning you like. However, we have specifically picked these to create the best flavor combination. Is This Recipe Gluten Free? Yes! Just be sure to double-check the salmon packaging to make sure there is no hidden gluten in the seasoning. I’m Low Carb. 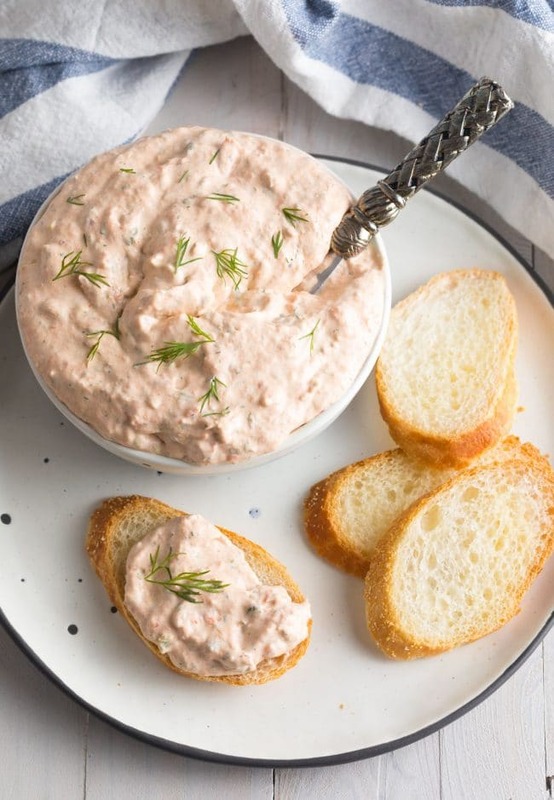 What Should I Serve Salmon Dip With? I’d go with raw cut veggies, baked vegetable chips, or keto crackers. How Long Does Smoked Salmon Dip Keep In The Refrigerator? For at least 7-10 days. 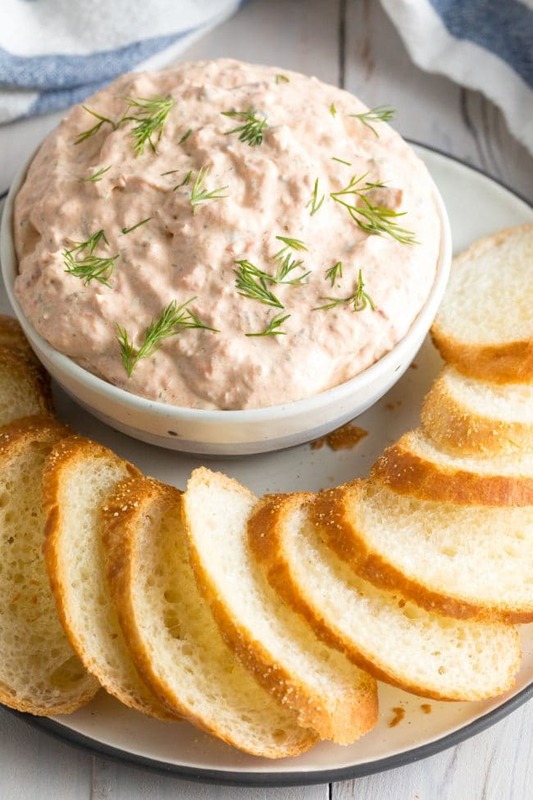 The BEST smoked salmon dip recipe we’ve ever made. Plus, it’s Low Carb and Keto if you eat it with veggies! 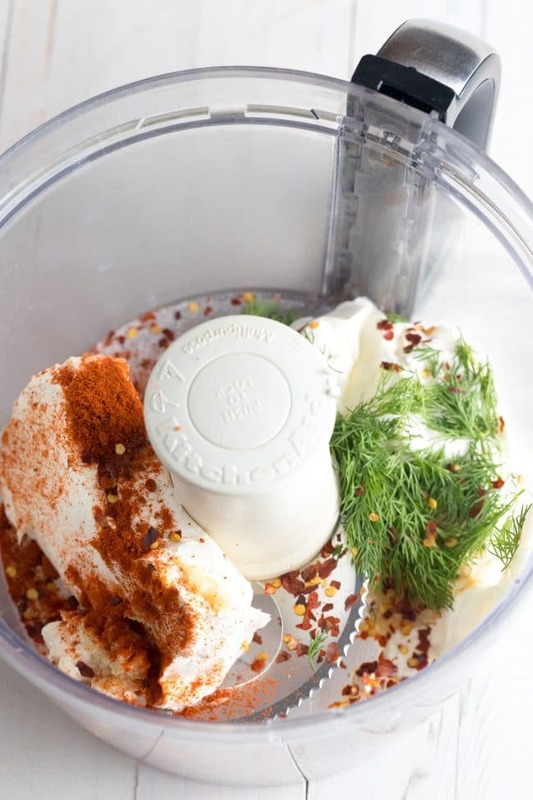 In the bowl of a food processor, measure out the cream cheese, sour cream, lemon zest, dill, horseradish, paprika, and crushed red pepper. *Add 1/2 cup sour cream if you want your dip thick and “spread-like” or 3/4 cup sour cream if you want it more loose like a dip. Cover and puree the ingredients. Then scrape the bowl with a rubber spatula. 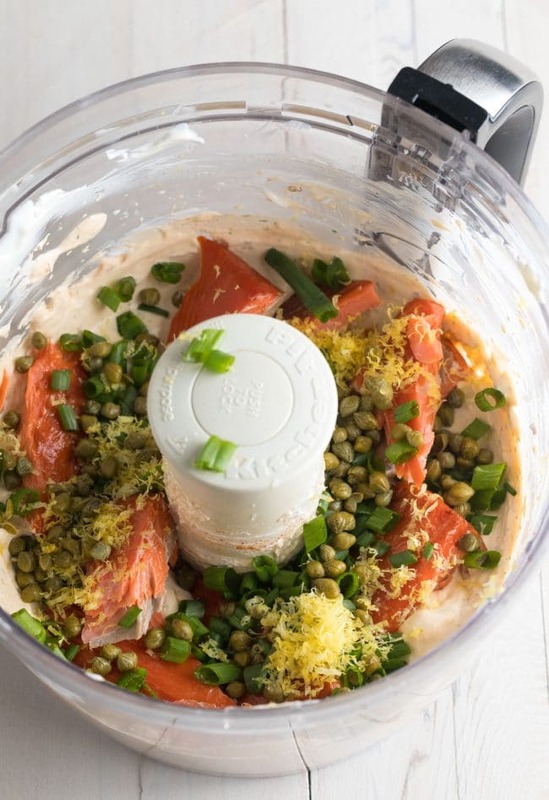 Now add the smoked salmon, green onions, and capers to the food processor. Cover and pulse until the salmon is broken into small pieces and well incorporated. You can puree it smooth, or leave it a little chunky. DO NOT SALT. Both smoked salmon and capers are very salty. If you add salt or forget to rinse the capers, the dip might turn out too salty. Such a great seafood dip! Sounds so amazing! 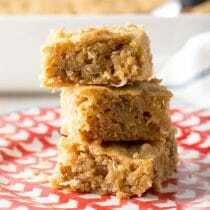 This is the perfect late night snack or appetizer! Love how easy it is to throw together. 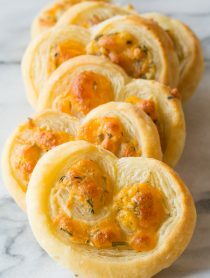 What a delicious appetizer! I bet it’s gone so fast! It has so many yummy flavors! 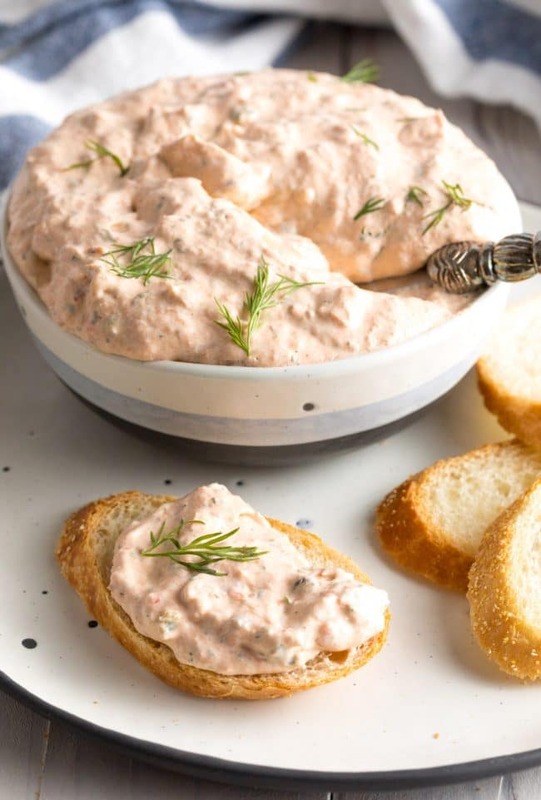 Love this salmon dip! 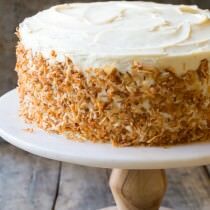 I make it every time I’m hosting a party and it’s always a hit! I loved this! It was really amazing!! A new favorite dip in my house! We love this dip!!! And love all the flavorful components! We can’t get enough of this dip!